If this is your first visit to More with Less Today, let me say hello and welcome to my little corner of the blog world. I am blessed to live in Orange County, California and I love to share my favorite staycation ideas. 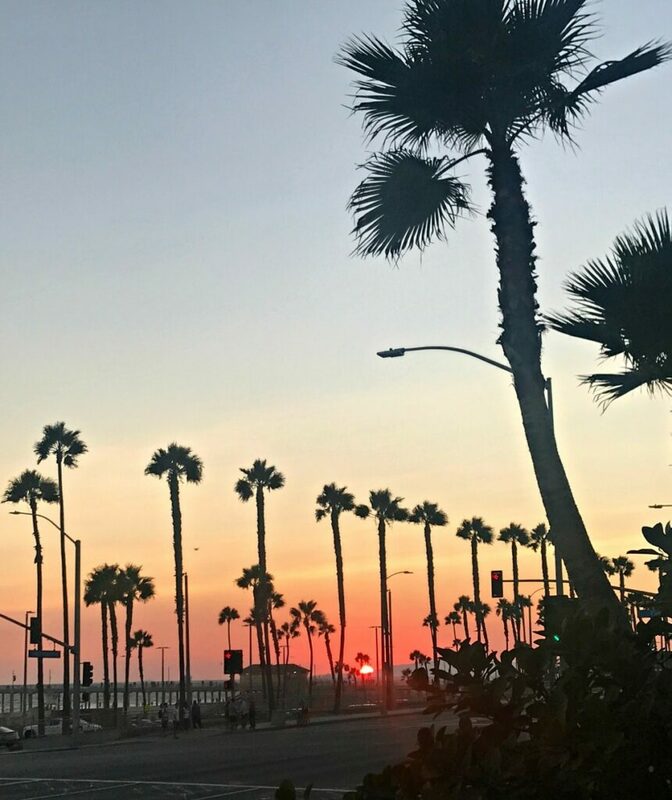 Whether you have lived in Orange County for decades (like me), are new to Southern California, or are just passing through, I hope my ideas will inspire you to get out and explore “the OC” and see our beautiful country through the eyes of a tourist. From the mountains to the sea, Southern California has it all! It is easy to forget that we live in an amazing part of the country with so much to do, right in our backyard. So get into the vacation mindset, take pictures, buy souvenirs, eat fattening vacation foods and make some memories! Be sure and bookmark this page or pin it to your Pinterest board. I welcome your additions for staycation ideas. Life in the OC – Known for More Than Bickering Housewives! Most people know that the top Orange County attraction is Disneyland, followed by Knott’s Berry Farm and then our beautiful beaches. To help stretch your vacation dollars, be sure and visit some of our other lesser known attractions and enjoy all of what Orange County, CA has to offer! Riding the Balboa Ferry – You can walk on, take your bike, or drive your car onto the Balboa Ferry for a lovely, pleasant and cheap boat trip of 1,000 feet. Downtown Disney District – just steps away from Disneyland, a lively promenade with great shopping, entertainment, restaurants, and a great place to watch the nightly Disneyland fireworks. 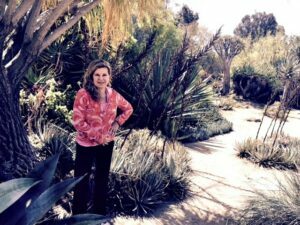 Fullerton Arboretum – A 26-acre botanical garden located on the campus of California State University, Fullerton. Whale Watching -board a boat during the spring and summer at Newport Landing to watch Blue Whale migration. Catalina Island – 26 miles across the sea, Catalina Island is accessible by passenger ferries from Newport Beach and Dana Point. The trip takes approximately 1 hour. You can also take a helicopter from Long Beach or San Pedro. Activities include swimming, snorkeling, kayaking, fishing, horseback riding, or just enjoy strolling the quaint shops and galleries. You can ride the Catalina Express Ferry for free on your birthday but you must pre-register at www.catalinaexpress.com. Visit the CatalinaChamber.com website for more discounts and tours. 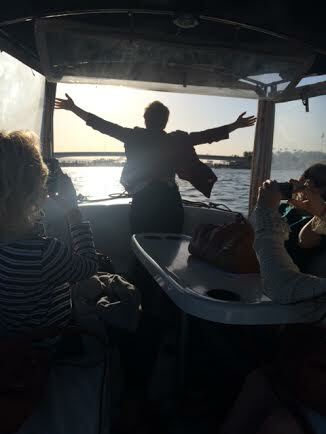 King of the World on a Duffy Boat! Rent an Electric Duffy Boat and tour Newport Bay with up to 12 people. You can tie up your boat and dine at several restaurants or bring your own food and beverages. Sportfishing – Davey’s Locker, located in Newport Beach is a popular option for deep sea fishing trips, both full day and half-day as well as whale watching excursions and private boat charters. Paddleboarding -the Newport Aquatic Center offers both paddle boarding and kayaking rentals and instruction. Located in the Back Bay of Newport Beach, the calm waters are a popular spot for paddle boarding newbies. This is on my bucket list for this summer! Stay tuned for what I am sure will be some funny photos. Surfing – take a surf lesson and hang 10! Experts say that one of the best beaches for beginning surfers is Doheny State Beach located in Dana Point. Rent a beach cruiser bicycle and ride around Balboa Island and the boardwalk. There are several places to choose from at the Balboa Pier. Orange County Fair, Costa Mesa- Held in the summer from mid-July through mid-August. Be sure and check out their daily promotions, buy tickets and get general fair information here. Laguna Beach Summer Festivals – Get a Summer Passport to the Arts for unlimited summer admission. Take the free trolley which operates from late June to early September. It operates each day from 9:30 AM to 11:30 PM. 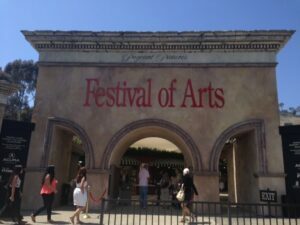 Pageant of the Masters – a magical, annual summer tradition. The Pageant of the Masters is a living tableau with live actors recreating paintings and artwork. You won’t believe your eyes! My tip – it can be a bit chilly – bring a wrap or coat. Sawdust Art Festival – family friendly with free admission for kids 12 and under. It is open from late June through early September. Art – a Fair – open daily from late June to the end of August with live entertainment Thursday through Sunday. You can sign up for daily art workshops for all levels. Pacific Amphitheater at the Orange County Fairgrounds – Summer Concert Series featuring current bands and nostalgic favorites. Pacific Symphony – Summer Festival of Concerts – check their calendar of events. Segerstrom Performing Arts Center – see Broadway shows in a beautiful venue without driving to Los Angeles. Shakespeare Orange County – performances are held at the Garden Grove Amphitheater over the summer. South Coast Repertory – several summer productions geared toward the younger set. These Orange County cities offer free summer concerts. Call city hall or search online for more specific schedules. Grab a picnic basket and enjoy a free concert! Many movie theaters offer discounted prices for family-friendly movies. Brea – Art in Public Places – tour over 150 outdoor sculptures which are on permanent display throughout the city. Dana Point – The Ocean Institute is a great place to learn about oceanography, view the tide pools, experience hands-on exhibits, plus it has beautiful views. Bring your own food and have a picnic on their benches and tables. A popular option is taking an evening Bioluminescence Cruise. Fullerton’s First Friday Art Walks – from 6 to 10 pm., the free walks offer an evening of community and culture. Fullerton Museum – View the works of the OC’s iconic guitar maker, Leo Fender in the Fender Gallery. Fullerton Muckenthaler Cultural Center- visit the art gallery and stroll their beautiful grounds. Check their calendar for special events, workshops, and concerts. Huntington Beach Art Center- visit their website to see current exhibits, classes and more. Irvine – Pretend City Children’s Museum – A great place to spend time with the little ones who love to pretend. Laguna Beach Art Walk – the first Thursday of the month, member galleries offer a festive, cultural evening starting at 6:15 PM with a free shuttle from the Laguna Art Museum to the art walk. Laguna Art Museum – see upcoming events and exhibits on their website. La Habra Children’s Museum – a favorite for young children and toddlers with exhibits, hands-on galleries, a caboose, a model train village, pre-school play park, science station and an outdoor dinosaur topiary. Through a grant from the Target Corporation, the first Sunday of each month is free. Santa Ana -Bowers Museum – Through a grant from the Target Corporation, the 1st Sunday of each month is free. Tustin – Marconi Automotive Museum – take self-guided tours of a car collection valued at 30 million dollars! Don’t Miss These Additional Orange County day trips and Staycation ideas! Los Angeles Angels of Anaheim stadium tour – visit the press box, press conference room, visitors clubhouse, dugout and more. The OC Zoo – located inside beautiful Irvine Regional Park in the city of Orange. San Juan Capistrano Mission – a historic landmark and museum, you can take a guided tour, a self-guided tour, or reserve a tour with a docent. Richard Nixon Library and Birthplace – located in Yorba Linda, on a beautiful nine-acre campus. See the magnificent full-size replica of the White House East Room and the humble birthplace of America’s 37th President. National Register of Historic Places – Listings for Orange County, California. Find Farmer’s Markets and Food Festivals Happening in Orange County at Localharvest.org. Sleep on the beach in a restored cottage at Crystal Cove Beach, reserve well in advance. New reservations open up the first of every month. Be sure and ask for student discounts, AAA discounts, and senior discounts if they apply. 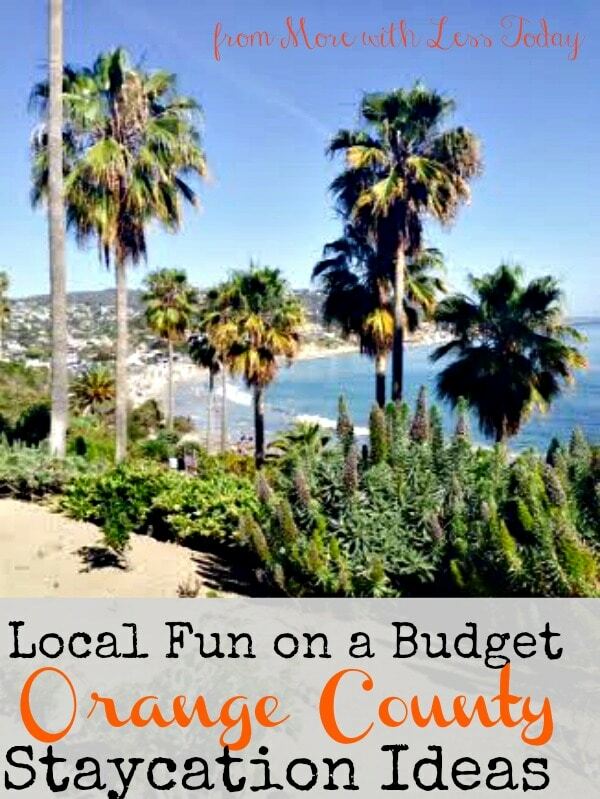 With a little prior planning, you can have local fun on a budget with an Orange County CA Staycation. Did I leave out a favorite staycation idea? Please leave a comment so I can update this post, and please share this with your friends and family. Happy Staycation!